Happy Fiber Arts Friday! While I have no right to be casting on new things (except Christmas gifts, of course), I seem to have raging startitis and severe knitting-add these days. Maybe it's the cool fallish temps that have finally graced our presence here in New England, but I just want to sit and knit. How about you? That colorful little number above is Painted and was actually cast on in June, but got tossed aside. It's a fun knit and I'll probably end up working on it here and there all through winter, since I have some other projects that I'd like to get finished first. As for that yarn cake of Madelinetosh, I've cast on a Christmas gift for someone special... but that's all you're getting on that one. I saved my current can.not.wait.to.wind.and.cast.on. for last. 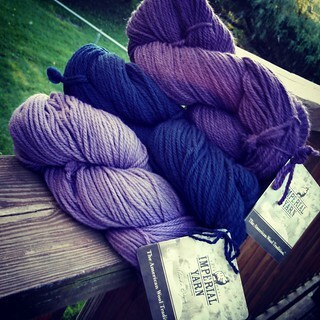 The yarn is last month's Yarn Box shipment - 3 skeins of Erin from Imperial Yarn, a super squishy, 100% wool that looks and smells amazing! Yarn Box included a pattern for a cowl & hat set, but I wasn't really loving it, so I started searching for what to make. I knew I wanted to use at least 2 of the colors, but preferred to find something using all 3. I found a scarf pattern that I was all set to make... until Challah popped up in my Facebook news feed and I knew it was the right pattern for this yarn! I have to get this one started really soon... and yes, it's for me! 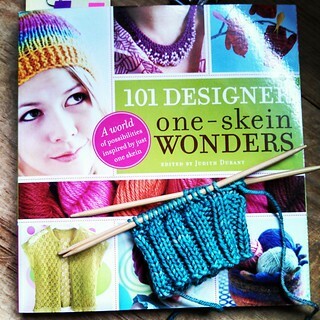 I could go on and on with other projects on the needles, but we'd be here all day... and well, I want to go knit! Have a great weekend! I love the colors you chose! So soft and inviting. Beautiful. It turned cold here last night. I understand your knitting desires completely. All of your colors are so pretty. Enjoy your just-for-you knitting! 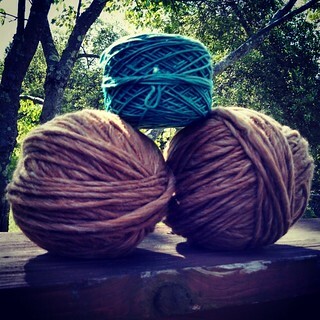 Oh such pretty colors and Challah will look wonderful in those three. 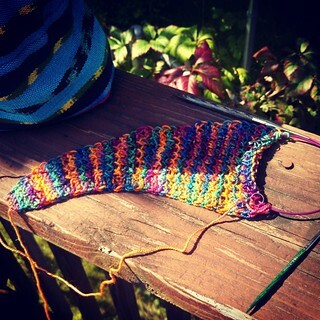 Doesn't it make you happy when you knit using such pretty colorful yarn? ooooh, the Challah skipped my newsfeed. That is a super sassy cowl. Good call. I'm like you with the startitis. I really need to focus on frogging to open up more needles.